The younger generation is seeing their political awakening in a highly divided Turkey and being forced to take sides in a system where democracy and its institutions are the battleground. 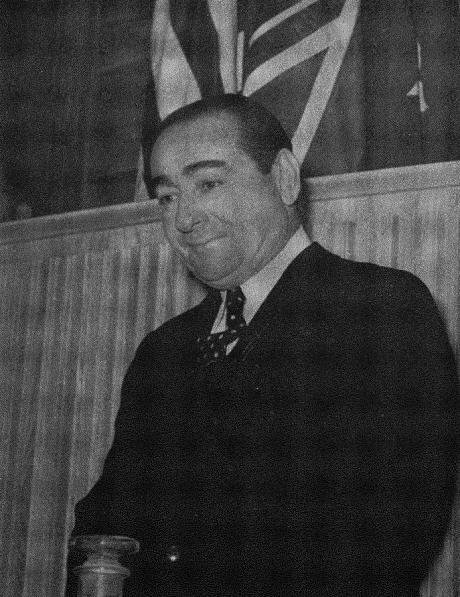 Adnan Menderes, Turkish prime minister, 1960.Wikicommons. Public domain.Turkey heads to the polls on Sunday. The outcome will decide the future of Turkish politics for years to come. These elections, despite some voting irregularities, will be generally free and fair. Nevertheless those who follow developments in Turkey would have noticed declining democratic capital in the country once hailed as a democratic model (or example) for the Middle East to follow. Nowadays very few people make such claims. If anything, Turkey is noted for its lack of democratic rights, especially those pertaining to the freedoms of expression and assembly since the Gezi Park protest almost exactly two years ago. This of course begs the question, why is there a democratic deficit in Turkey? In answering this question three interconnected factors can be identified. They are 1) the legacy of an authoritarian style of leadership and, relatedly, an elite conception of what constitutes good citizenship, 2) the legacy of the military's involvement in politics, 3) the political system as a battleground for Turkey's social-cultural divisions in their struggle to define Turkish identity. These factors together explain many of Turkey’s democratic difficulties. Turkey has a legacy of leaders with autocratic tendencies. Its first leader, Mustafa Kemal Ataturk, was a reformer, a visionary and a state builder; however, no democrat. He tried and failed to produce a two party system. Instead he ruled a one party state. Kemal Ataturk was the first of many political figures in a country where personalities have carried more weight than political programmes or policies. The list includes, but is not limited to, Ismet Inonu, Adnan Menderes, Bulent Ecevit, Turgut Ozal, Suleyman Demirel and Tansu Ciller. Turkey's current president Tayyip Erdogan who hailed from the Justice and Development Party (AKP) is only the latest example. A case in point is Adnan Menderes, prime minister between 1950 and 1960. Menderes had a majoritarian understanding of democracy where the people’s will was only identified through the result of national elections rather than civil participation. He suppressed the media, targeted minorities and crushed anti-government organizations. The only thing that stopped him was a military coup in 1960, after which he was shockingly sent to the gallows. Erdogan has openly compared himself to Menderes and the similarities are uncanny. Erdogan also sees the ballot box as the only instrument of accountability and the only source of political legitimacy. He too has crushed the press and attempts to stifle his opposition while using firebrand rhetoric to label critics unpatriotic or a part of a large conspiracy, a reference to the Hizmet movement of Fetullah Gulen. For these types of leaders, citizens should be beholden to their office holders. For example, last month President Erdogan reacted angrily to demonstrators at a rally in eastern Turkey. He told off protesting workers for their ingratitude. Erdogan claimed that the government had addressed some of their concerns. The workers were upset about the lack of rights associated with sub-contracted workers. Similarly, just over two weeks ago an owner of a barber shop in Istanbul was assaulted for not shaking the hand of an AKP deputy, by a member of the politician’s entourage. This authoritarian conception of citizenship goes a long way in explaining the lack of freedom of expression. Protesting the government is considered an example of bad citizenship. The police brutally clamp down on such demonstrations. Think Gezi Park, May Day protests or even students from the Middle East Technical University campaigning against a highway being built through their campus. Hagia Sophia. Wikicommons/Arild Vagen.Some rights reserved.However, protests supportive of the government line are rarely suppressed or met with violence. For example, tens of thousands of Muslims prayed outside of the historic Hagia Sophia in Istanbul, whilst calling to convert it into a mosque. A week earlier they had staged a rally demanding the same. 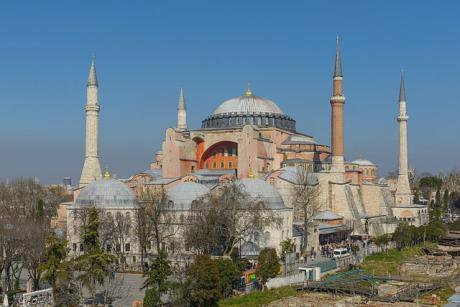 The Hagia Sophia was built in 537 by Byzantine Emperor Justinian, had been a church for 900 years and then, following the conquest of Istanbul had been turned into a mosque for another 500 years. Kemal Ataturk decreed it a museum in 1934 and it has been one ever since. Unlike anti-government protests, Hagia Sophia demonstrators did not face tear gas, water cannon, police batons or fisticuffs. A rally that celebrated the 562nd anniversary of the Ottoman conquest of Istanbul was not suppressed. In fact the reverse occurred. Attended by hundreds of thousands of people, activists were supplied with flags and banners by municipalities or NGOs affiliated with the AKP. What is particularly worrying is that tough legislation was passed at the end of March this year allowing courts to give long jail sentences to protesters who conceal their faces. It also gave police the authority to use lethal force in some circumstances. No doubt it will be anti-government protesters who will feel the long arm of this law. Throughout its history Turkey’s civil-military relations have been turbulent. There were military interventions in 1960, 1971, 1980 and a ‘post modern’ coup in 1997. The 1980 coup was especially bloody with thousands going ‘missing’. In addition, thousands were detained and tortured and hundreds were executed. The legacy of the coup and the 1997 intervention has lasting repercussions to this day. It is important to recall that the 1980s and 1990s was the height of the Kurdish insurgency in the southeastern region of Turkey. In order to quash the insurrection, the Turkish state instituted emergency law. During the fighting at least 40,000 Turkish citizens, mostly of Kurdish heritage, were killed. Thousands of villages were destroyed and hundreds of thousands were internally displaced. Still today there are issues that remain unresolved such as the state's role in death squads and extrajudicial killings as well as torture and mass disappearances. The conflict has also yet to be permanently resolved. Despite peace overtures, violence returns on a sporadic basis. Finding a permanent solution is a democratic imperative, but still pending. Turkey's ridiculously high parliamentary threshold of 10 percent in its proportional representation system is a result of the post 1980 military period. It was designed to prevent Kurdish party representation. However, since 2002 the net effect of the threshold is that it has given the leading party a disproportionately high number of seats in parliament in comparison to the popular vote. It is important to remember that Turkey's current constitution, with some later amendments, was drafted under the auspices of the military. Even when Turkey returned to civilian politics in 1983, the military, through the National Security Council and indirect channels within the bureaucracy, managed to influence politics. It even staged a behind the scenes coup in 1997 that led to the ousting of Erbakan and his Islamist Welfare Party, an early forerunner of the AKP, something its founding politicians such as Erdogan would never forget. It was only around the time that the AKP emerged in 2002 that the military gradually lost some of its ability to intervene in civilian politics. This was a result of EU oriented reforms. However, what really led to the military's decline in Turkish politics were investigations from 2010 onwards into apparent ‘deep state’ plots to overthrow the government. Hundreds of retired and existing military and security service personnel were arrested, prosecuted, tried and in many cases convicted. While this may sound like a positive development for Turkey's democracy, it was actually a double edged sword. While it did reduce the power of the military's involvement in civilian affairs, the way in which the investigations were conducted upset many Turks. This in turn led to mistrust as it was noticed that it was not just military figures who were implicated but also civilian secularists including newspaper editors and university rectors. Speculations were rife that what was really taking place was a purge of AKP opponents from positions of power. Recent court rulings have shown that at least one of the cases against the military was fraudulent and even fabricated. Democracy in Turkey is a means to an end, the rectification of past injustices and to fulfil a partisan vision of the nature of Turkish identity. This is exactly what Erdogan meant by his comment well over a decade ago that democracy was like a bus ride, one gets off when the destination is reached. Erdogan and the AKP believe that they represent the politically marginalised Turkish majority whose origins are from rural Anatolia, the urban poor and/or people who believe that their cultural identity, including an Islamic identity, has been suppressed by the secular elite with support from the military. The AKP is convinced that if it is to fulfil its vision of Turkey, any remnants of the old order must be eradicated or risk being ousted by these secular forces. In order to do this, it has eroded the country's delicate system of checks and balances. Since the 2010 constitutional referendum, the government has had more influence over the constitutional court. The AKP government has also held the office of the Presidency since 2007. Once a ceremonial role supposed to be above party politics, the position now has greater political powers as the current president Tayyip Erdogan has no qualms about being partisan and manipulating the constitutional delineations of the office. However, it should be noted that even when Abdullah Gul was president he was content to rubber stamp AKP legislation and follow the party line. And then there is of course the media. According to Reporters Without Borders, Turkey is the world's leading jailer of journalists and Freedom House now deems Turkey "Not Free". Most recently Erdogan publically threatened Cumhuriyet Editor Can Dündar for its scoop on alleged Turkish arms to Syria. It is not just the traditional media that has been targeted but also the social media, with blanket bans enacted against youtube and Twitter. Individuals, public figures and private citizens alike, have been arrested and prosecuted because of things they have tweeted or even in some cases retweeted. The erosion of checks and balances has led to unaccountability. The government was able to whitewash corruption scandals which gripped the country from December 2013 onwards. In the end it wasn't those accused of corruption who paid the price, but rather those who did the investigating. All is not well in Turkey. The country’s democratic deficit is a result of the legacy of authoritarian type leaders and their undemocratic conception of what makes a good citizen. It is also a product of the legacy of the military's involvement in politics. Meanwhile, the political system is victim to social-cultural divisions over the nature of Turkish identity. What is tragic is that the younger generation of Turks are experiencing and coming of age during this anti-democratic turn in Turkey. But they do not recall military rule. They did not grow up marginalised or alienated. If anything they are the product of social-mobilisation (an AKP success). However, the younger generation is seeing their political awakening in a highly divided Turkey and being forced to take sides in a system where democracy and its institutions are the battleground. Reversing this tide is the real democratic challenge ahead of the polls on 7 June.